Like many companies, we use technology on our website to collect information that helps us enhance your experience and our products and services. The cookies that we use allow our website to work and help us to understand what information and advertising is most useful to visitors. This Cookie Notice applies to any websites which are operated by or on behalf of BTcongress. All these websites can be recognized by the “BTCongress” or “Biomedical Technologies” logos placed in the footer. Cookies, pixel tags and similar technologies are small text files containing a string of characters that can be placed on your computer or mobile device that uniquely identify your browser or device. The Website uses technical cookies, such as browsing or session cookies, functionality cookies and analytics cookies, created and used by the Website manager. This type of cookie is used to add features developed by third parties in website pages such as icons and preferences in social networks, to share website content or use third-party software services (such as map-generating software and other software providing additional services). These cookies are sent from third-party domains and partner websites offering their functions in the various website pages. Most internet browsers are initially set up to automatically accept cookies. 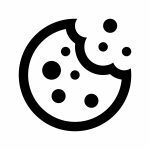 If you do not want our websites to store cookies on your device, you can change your browser settings so that you receive a warning before certain cookies are stored. You can also adjust your settings so that your browser refuses most of our cookies or only certain cookies from third parties. You can also withdraw your consent to cookies by deleting the cookies that have already been stored. The procedures for changing your settings and cookies differ from browser to browser. If necessary, use the help function on your browser or click on one of the links below to go directly to the user manual for your browser.